Expecting heavy rush of devotees to Durga temple on Moola Nakshatram, the city police have made all arrangements for traffic diversion on October 8. City Police Commissioner D Gautam Sawang on Thursday in a press release announced the diversion, which will come into effect from October 7 midnight to October 8 midnight. The CP urged the vehicle owners to cooperate with the traffic police and help to avoid traffic jam. He made it clear that no vehicle will not be allowed towards Prakasam barrage from Kummaripalem side. The CP said that all vehicles coming from Gollapudi Y Junction, Swathi and Kummaripalem center will be diverted via Sitara, Kabella, CVR fly-over and Chittinagar. All Vehicles from Police Control Room will be diverted via low bridge, KR Market, BRP road, Panja center, VG chowk, Chittinagar and Sitara, he said. 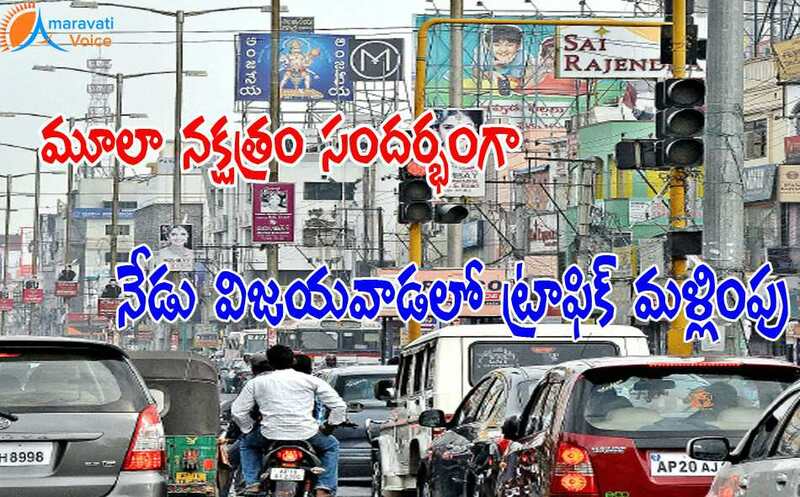 Visakhapatnam should be diverted at Chillakallu, Vyra, Aswaraopet, Jangareddygudem, Gopalapuram, Devarapalli, Kovvuru, Gaman Bridge and Rajamahendravaram, the CP said. Vehicles coming from Visakhapatnam to be diverted via Hanuman Junction, Nuzvid, Mylavaram and Ibarahimpatnam to Hyderabad, he added.